As the calendar turns to 2018 we wanted to take some time to reflect on what’s ahead and hopefully give you some ideas you can use to attract the talent you need. One thing is certain about recruiting today. It’s hard to find the talent you need and perhaps even harder if you recruit for drivers, healthcare, sales or technology. Will you be doing the same old thing this year? Or will you try some new things to help you stand out? Hopefully it’s the latter. Everyone is hiring which means you need to start thinking differently about your recruitment tactics. You should be adding more video through services like SkillScout or these new Job Explainer Videos. Video should be a huge part of your plan this year. Use it. Job seekers want to watch. Here are some free apps that you can try to dip your toe in those waters. Will you be holding more open houses? It might be time to get real and stage some hiring events. Sites like JobFairing can help spread the word. Or consider leveraging our new email marketing options. Will you be educating yourself though recruiting podcasts? There are tons of great shows now playing on iTunes or Google Play and by listening you can become a better recruiter. Here’s a quick list. Or subscribe to HRpodcasts.com. Need help sourcing? Try tools like SeekOut and Hiretual to help you get more efficient with your searches. 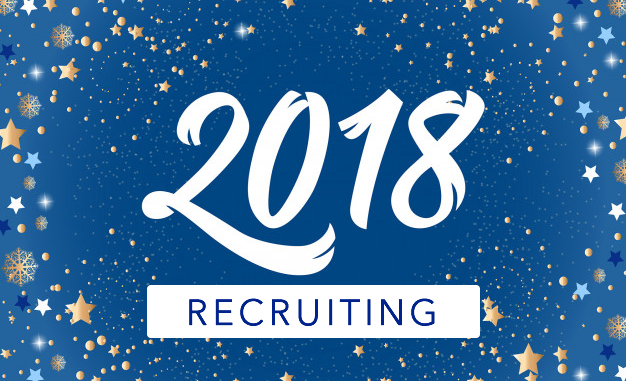 Whatever you do this year, it is clear that you need to up your recruiting game. You may need to raise your wages too. A number of retailers and banks such as Target and Comerica have just announced they are all moving to a $15/hr minimum wage. You should expect to see more of these announcements as the labor market is expected to tighten even further in the coming months.